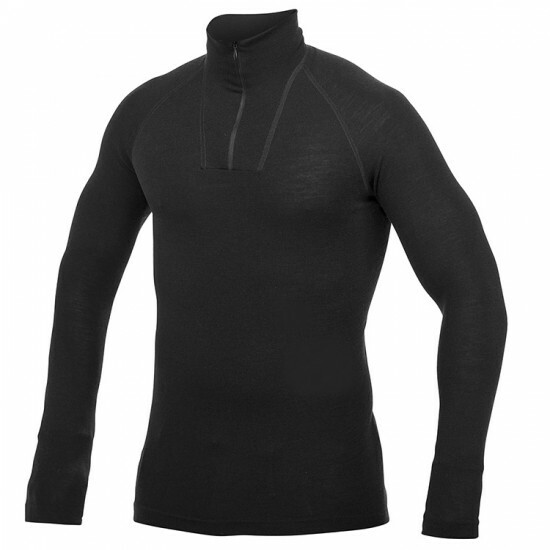 This zipped turtleneck LITE base layer from Woolpower is an ideal base layer to wear during high levels of outdoor activity and/or in warmer temperatures. The lengthwise seams are placed further back offering optimum comfort & the raglan sleeves design prevents any seam rub when carrying a backpack. Also, the back is longer to prevent gaps. The 19.5micron merino wool is combined with 20% polyamide fibre to create a durable & strong garment with function still being the primary focus. There are the minimum number of seams necessary & the fabric is very soft, smooth & stretchy for optimum comfort. Woolpower’s LITE range of base layers has been designed to offer the wearer a cooler alternative to other base layers. The LITE range is manufactured from flat-knitted fabric to give more direct contact against the skin. This means the heat is conducted more easily from the skin & out of the garment. This base layer cane be used all year round.